NORTH FORK – The 56th annual Mid-Sierra Loggers Jamboree drew over 2,000 people to the Rec Center in North Fork over the 4th of July weekend. 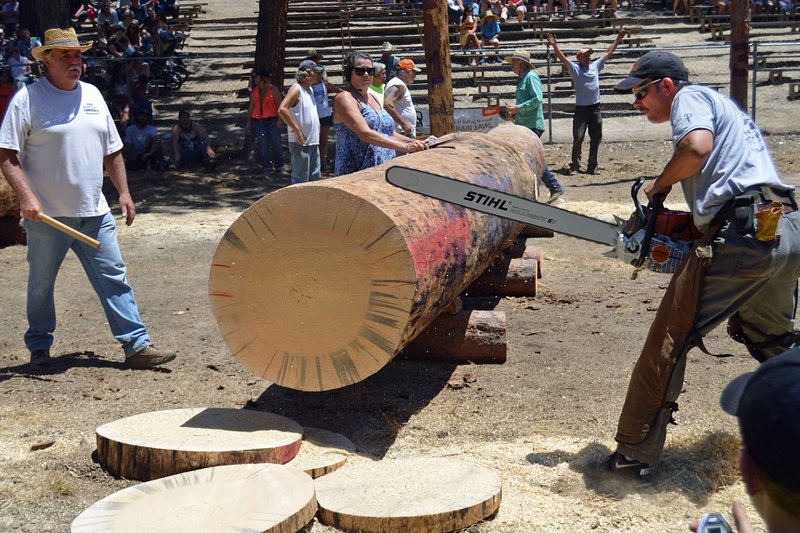 The competition was fierce, with Len Nielson taking the title of Champion Logger, beating out the winner of the past two years, Nathan Hodges, by just one point. 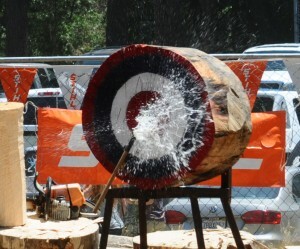 Spectators were treated to fast and furious action in the arena both Saturday and Sunday, while some of the kids took advantage of the cool water in the swimming hole at Willow Creek. 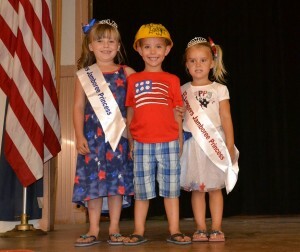 Following the Pro-Am competition on Saturday, the annual parade down North Fork’s main street stepped off at 5 p.m.
A community dinner was then served up at the Town Hall, where Jace Thornburg was dubbed Little Logger, and the crown for Little Princess was passed on to Karissa Owen by last year’s title-holder, Kessler Lopez. 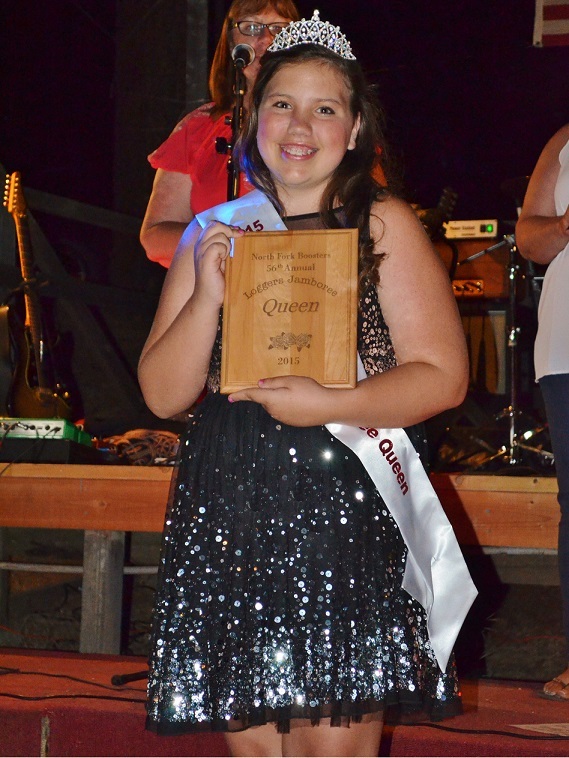 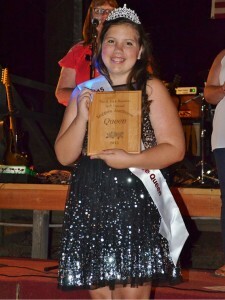 Heather Lutz was crowned Loggers Jamboree Queen as revelers enjoyed music under the stars at the Woodchopper’s Ball on Saturday evening. 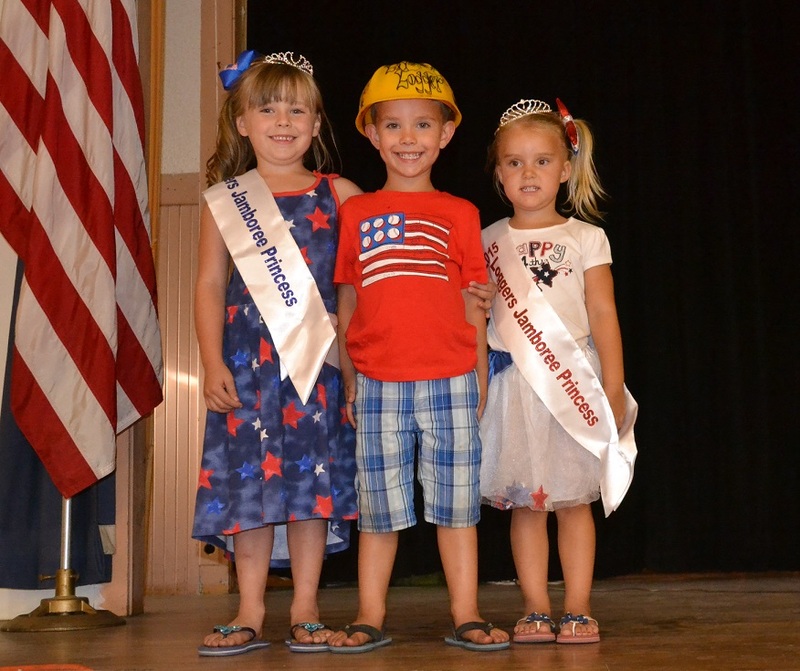 Sunday’s action was preceded by the ever-popular Lions Club Pancake Breakfast at the Town Hall, before the action resumed back at the Rec Center arena. 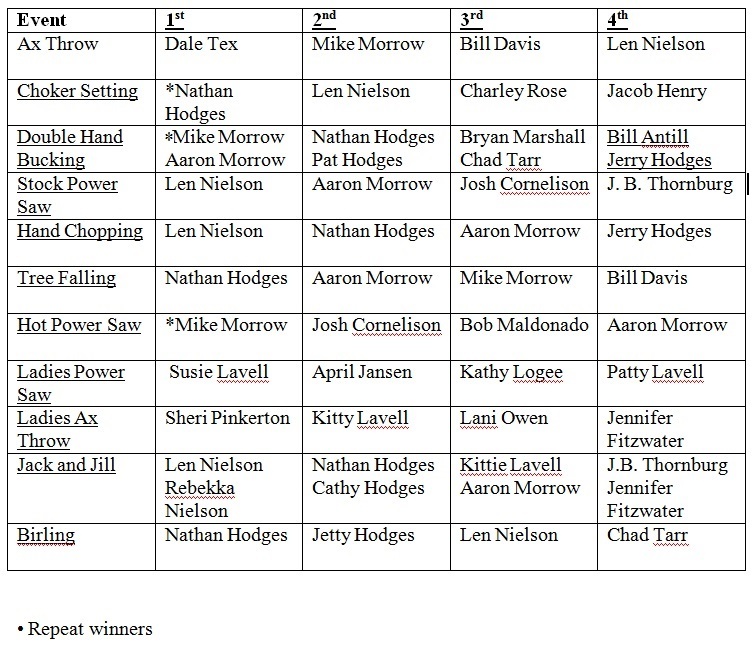 When the scores were tallied at the end of a day of heated competition, the Champion Logger was determined by just one point: 31½ for Len Nielson to Nathan Hodges’ 30½ points. 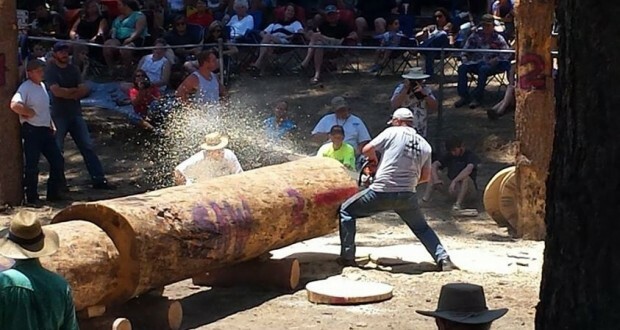 As always, the Loggers Jamboree, which is put on each year by the North Fork Boosters, provides much-needed funding for the maintenance of the Rec Center, the Town Hall, and the Summer Youth Program.